Its hard for most people to really understand how SEO works BUT every business needs it if they want to take advantage of their target market on search engines. Its also really hard in these established days of the internet to find someone that you can trust to communicate with you and actually work on your website to help you with this effort. We can help! These days if you are not on page 1 of a google search you are getting little to no website traffic at all. 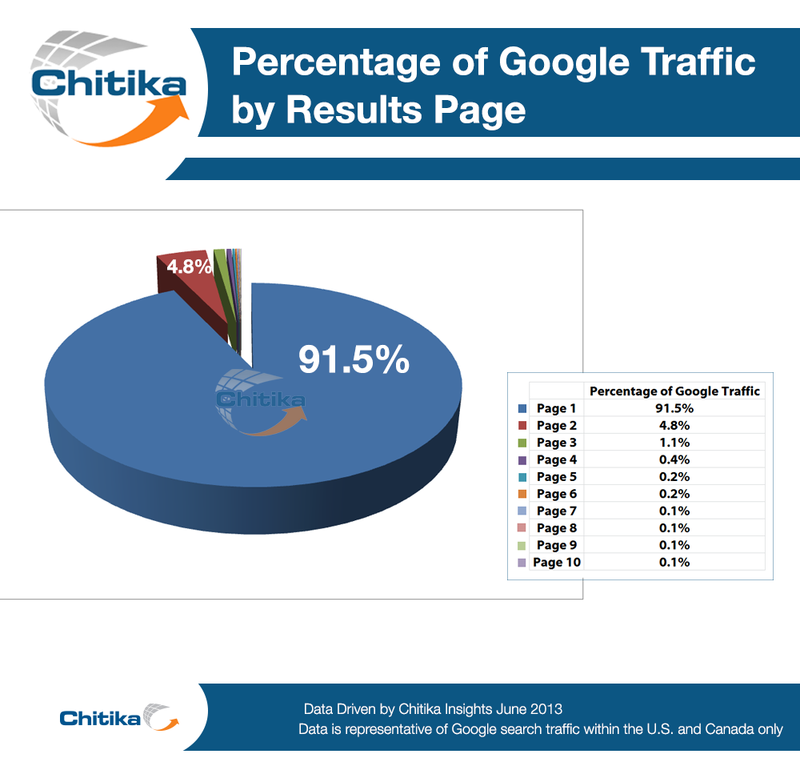 To dial that in a little more if you are not top 3 on that page 1 of Google search you are missing out on just over 60% of that web traffic according to chitika.com. Thats an insane amount of potential website traffic and income that you could be missing out on. That means if you are in the #4 position on page one you are still missing that potential traffic. Our job is to help you attain these rankings on your target website terms and there is a lot that goes into it from keyword research, back linking, guest posting, press releases to blog posts. We do all of this to help your website move up the Google page rankings. Most people ask how SEO works. There is so much to it that it can become pretty difficult to explain but its basically all about content, and a lot of it. Content carefully optimized on site on your pages and blog posts, as well as off site content on other peoples websites, blogs, articles, or simply links on another site back to yours. Why all the content? In a nutshell, Google crawls, or reads, the entire internet. Its a HUGE place and everyone has their space. When Google reads the internet is gets an accurate picture of where websites stand and how active their owners are in updating content and social media. What we do is create on and off site work so that when Google reads the internet, it will see more and more new content related to you and referencing your website each and every time. When Google sees this content it will reward you for being active on the internet. Those websites that do not post continuous content to the internet will not be valued as high as those that do. So SEO is a must to show google that you care about your site! Let us show Google who you are and that you deserve to be at the top.